The 2014 Farm Bill, formally known as the Agricultural Act of 2014, makes the Livestock Forage Program (LFP) and Livestock Indemnity Program (LIP) permanent programs and provides retroactive authority to cover eligible losses back to Oct. 1, 2011. LFP provides compensation to eligible producers who suffered grazing losses due to drought and fire. LIP provides compensation to livestock producers who suffered livestock death losses in excess of normal mortality due to adverse weather and attacks by animals reintroduced into the wild by the Federal Government or protected by Federal law, including wolves and avian predators. USDA is determined to make implementing the livestock disaster programs a top priority and plans to open program enrollment by April 15, 2014. Many producers still have questions. USDA is in the process of interpreting Farm Bill program regulations. Additional information will be provided once the enrollment period is announced. In the meantime, producers can review the LIP and LFP Fact Sheets. Thanks for your patience as USDA works diligently to put Farm Bill programs into action to benefit the farmers and ranchers of rural America. All CRP participants with contracts effective beginning with signup 26 are required to perform at least 1 Mid-Contract Management activity as part of their approved conservation plan. Mid-Contract Management activities are intended to create plant diversity for the benefit of wildlife and enhancement of the permanent cover. Possible activities include disking, inter-seeding, prescribed burning, managed haying and managed grazing. Management activities must be completed before the end of year 6 for contracts with a 10 year contract length, or before the end of year 9 for contracts with a 15 year contract length. In no case should the 1 required management activity occur during the last 3 years of the CRP contract. Some management activities require that they be spread out over multiple years. Because of this, producers with CRP contracts entering their 4th year, such as the signup 39 contracts, need to contact their respective FSA and NRCS offices to plan appropriate management activities. The participant may receive up to 50 percent cost-share for the management practices. Failure to perform planned management activities can result in contract violation and possible termination of the CRP contract along with associated termination fees. For additional information, please contact the Lincoln County FSA or NRCS office. Office Staff: Casey Toyne, CED Alicha Stroud, PT. Danielle Kravig, PT. Allen Page, Sr. Farm Loan Officer. 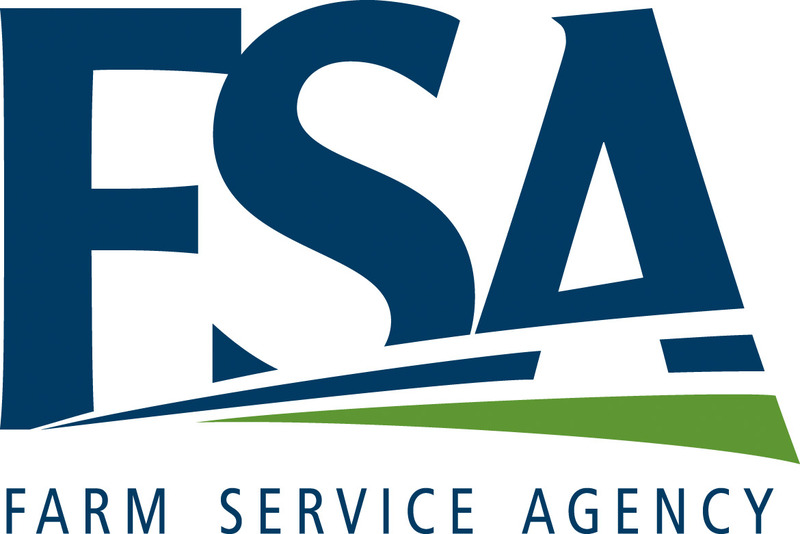 In order to comply with FSA program eligibility requirements, all producers are encouraged to visit the Lincoln County FSA office to file an accurate crop certification report by the applicable deadline. November 15, 2012 – Apiculture, Fall Barley, Perennial Forage, PRF/Grass, Fall Wheat, and other Fall-Seeded Small Grains. For questions regarding crop certification and crop loss reports, please contact the Lincoln County FSA office at (719) 743-2408. Changes were made to the interest rate charged on loans where FSA provides 50 percent or less on jointly financed purchases of real estate also called Direct Farm Ownership Participation Loans. The interest rate will be the greater of 2.5 percent or the current interest rate for direct Farm Ownership loans minus 2 percent, as a fixed rate for the duration of the loan. At present, the March direct Farm Ownership rate is 4.25 percent. Because the 2.5 percent floor is greater than subtracting 2 percent from the direct farm ownership loan rate, the rate for Direct Farm Ownership Participation Loans in March is 2.5 percent. Update your subscriptions, modify your password or e-mail address, or stop subscriptions at any time on your Subscriber Preferences Page. You will need to use your e-mail address to log in. If you have questions or problems with the subscription service, please contact subscriberhelp.govdelivery.com. For all other inquiries, please contact askfsa@usda.gov. This service is provided to you at no charge by the USDA Farm Service Agency. This newsletter is provided to you at no charge by the Limon Leader and Eastern Colorado Plainsman.